welp, in honor of what the nation celebrates as "Small Business Saturday," (click here and here for more information on what it is and how you can help small businesses in your area in the fight back against the man), i've decided to follow up #BlooperBriday with #BuzzfeedSaturday (#BFS). you guessed it...it's a selected buzzfeed (a place where i find my most treasured memes, gifs and other internet nonsense) post purely for your enjoyment on this Saturday morning. enjoy! Click HERE for buzzfeed's "The 6 Worst Local Business Ads of the Month"
bonus BFS link: click HERE for "The 10 Best Local Business Ads of the Month"
a while back, my staff at my day job and i came up with an awesome, simple, and always joyful way to celebrate the onset of FRIDAYS... by assigning one of us to find an AWESOME and HILARIOUS blooper reel on the web, and sharing it like viral wildfire via IM to anyone who felt a full blown TGIF coming on. oh, and as a bonus, here's a post that i did in honor of Gene Roddenberry's birthday last year containing none other than some of my favorite Star Trek bloopers. double happy #BlooperBriday to you all. NerdAlert: My name is Daria, and I am a Domain Name Hoarder. that's right, i said it. for a long time, i've had this secret problem with coming up with what i deem to be clever URLs/domain names, and when i look them up on godaddy and they are available and reasonably priced, i buy them. and then, sometimes i do something with them, like i did with this blog and my SundayLA site, and other times, well, i just have these names sitting there. but this, my friends, is not a case of that! 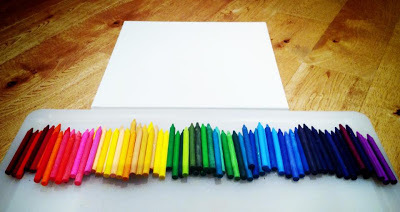 this post has dual purpose: first and foremost, i bought a new domain name for this blog. i've never LOVED the fact that "knows" is at the end of this blog url, because when i say it out loud to people sometimes they think i mean "nose". 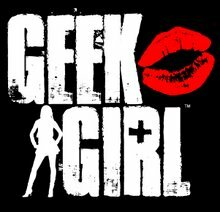 and of course, just plain geekgirl was never available to begin with, so recently, i purchased geekgirldotcom.com, and with the redesign of my blog to a full blown site in the works right now, i wanted to come to you guys for a gut check. vote in the poll below and let me know what YOU think! which URL do you prefer? and the second purpose of this post was to give you guys a sneak peek of what the new site will look like. i was so stoked at finding this amazing new web design tool that is TOTALLY free, that i was inspired to redesign GeekGirl. so in the meantime, here's a tiny sneak peek at what the new site will look like, and i promise that its inaugural post will be about this rad website design software is, and how easy it is to use!